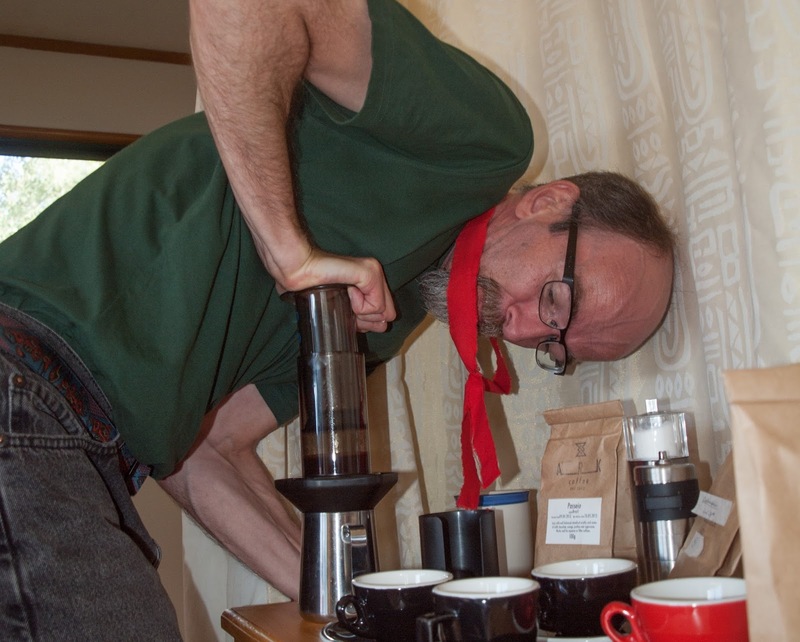 In preparing to review the Aeropress, we downloaded recipes from the World Aeropress Championship Website http://worldaeropresschampionship.com/recipes/. After trying many of the recipes, both the fine grind and coarse grind versions, we came away wanting more, wanting a method that would satisfy our questions, and flavour & taste receptors. 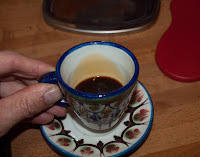 We wanted to know if it was possible to make an espresso-like drink with the Aeropress, mostly because we are a deeply curious bunch, but also we wanted a tasty method for our non-electric cabins that we were living in for 3 months...We were very pleased by the results. We were able to produce a coffee at a calculated 2-2.5 bar pressure. 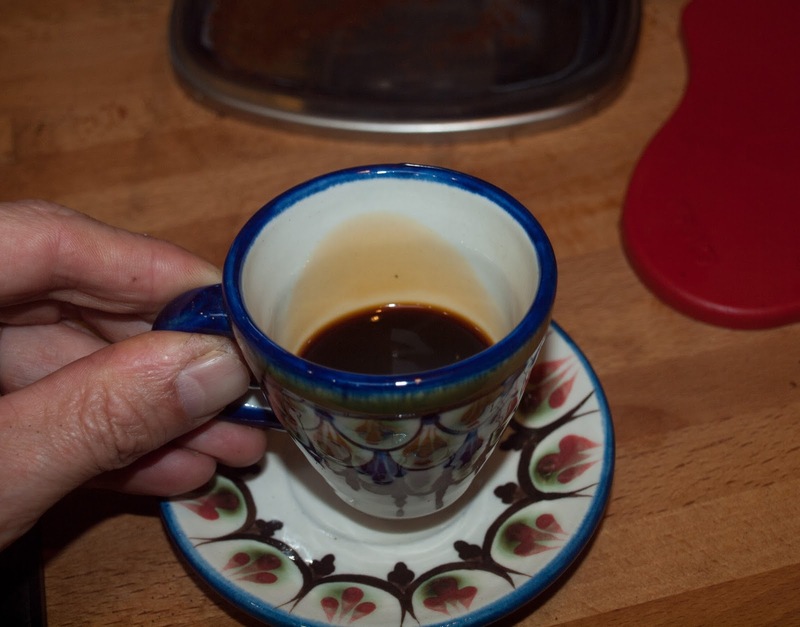 There was no crema, but generally we produced a higher viscosity and richer mouthfeel than generated using many recipes we tried from the World Aeropress Championship Website: somewhere between a filter coffee and espresso. We used for our three-months of experiments a wide assortment of quality beans roasted with a portable Gene-Cafe. In addition, we would try various excellently roasted single origins from the New Zealand firms, Coffee Lab (Wairau Valley, Auckland) and Ark (Takapuna). We determined that even a 2 degree variation of temperature can significantly effect the flavour profile and mouthfeel. Of course it is quite possible that different origins and roastings will require slight changes to the water temperature we used and by individual preference. Grading sheets similar to ones used by the SCCA for cupping were used 2-3 times per day to help both with roasting feedback and for modifying the Aeropress method. 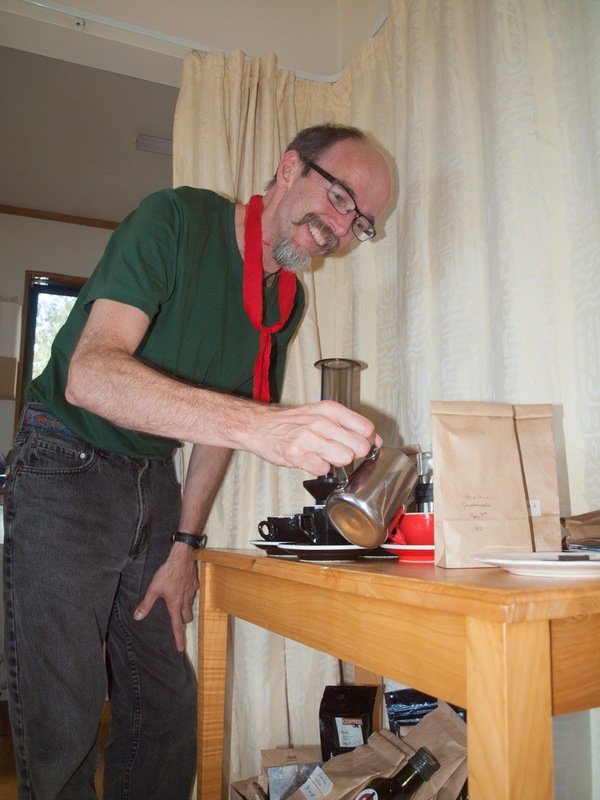 Our results were very satisfying: a simple, inexpensive device that can make great coffee. 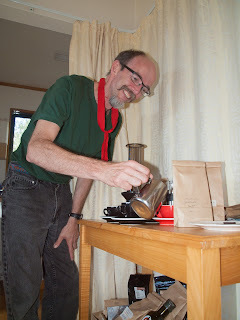 And the coffee produced had excellent ranges of aroma and flavours.